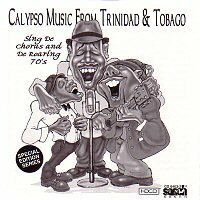 Two eras of calypsos from Trinidad & Tobago are offered in the 2 CD set. 'Sing De Chorus' covers the 30s and 40s. Accomplished performers in a 1990s tribute to Calypso greats recreate the early periods of Calypso history. In order to preserve the integrity of the music of that era, a totally acoustic ensemble was used to reproduce the original sound and tenor of these songs. Hear the works of Lord Executor, Lord Beginner, Attila the Hun, King Radio, The Roaring Lion, Destroyer, The Growling Tiger, Lord Invader, The Growler, Lord Caresser, Lady Iere and King Iere. The name of the original performer of each calypso is listed in the track list of the twenty seven songs.